Attempts to impose parking fees hit wall as operators refuse to pay. 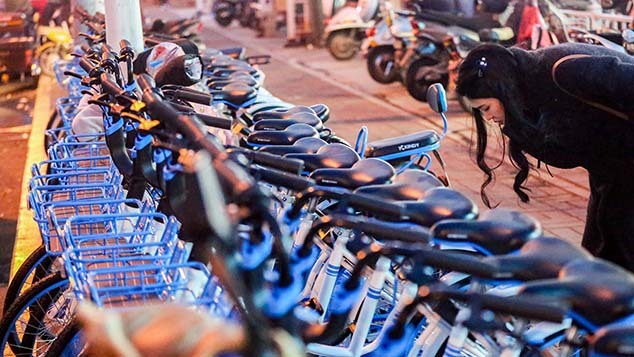 SHANGHAI — A parking war poses a fresh threat to bike sharing in China’s most populous city, less than a year after the new mode of transportation first captured the imaginations of urban residents. Since the beginning of this year, around 4,000 bikes have been confiscated and impounded in Shanghai’s Huangpu District as part of an ongoing dispute over whether shared-bicycle companies should pay fees for parking privileges on public sidewalks. Operators such as Mobike have dug in their heels by refusing to pay, while the number of bikes locked away in city lots only grows. On Wednesday, the city’s Huangpu District Management Committee Office extended an olive branch of sorts. In a statement posted to its official public account on messaging app WeChat, the office said that it will discuss a quota system with the bike-sharing companies and called on them to distribute their bikes based on traffic flow analysis. The bureau also called on the companies to use big data to improve user guidance and management. While official data is hard to come by, media reports estimate the number of so-called shared bikes in Shanghai at 600,000. The smartphone apps and GPS-enabled shared bikes offer a convenient and inexpensive way for residents to travel around the city or to the nearest subway station. But their “ride anywhere, park anywhere” usage model also makes them a scourge to nonusers. 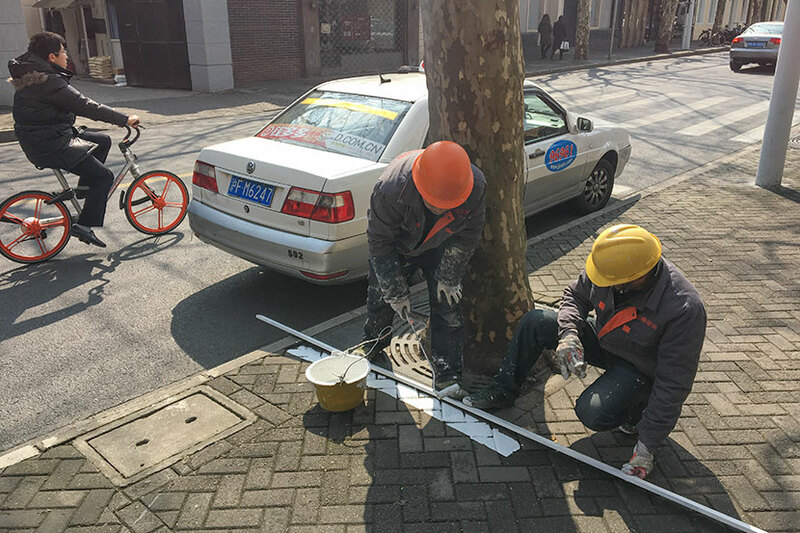 Following complaints from the public about the poor parking etiquette of China's shared-bike riders, cities across China are taking action to remove offending vehicles. 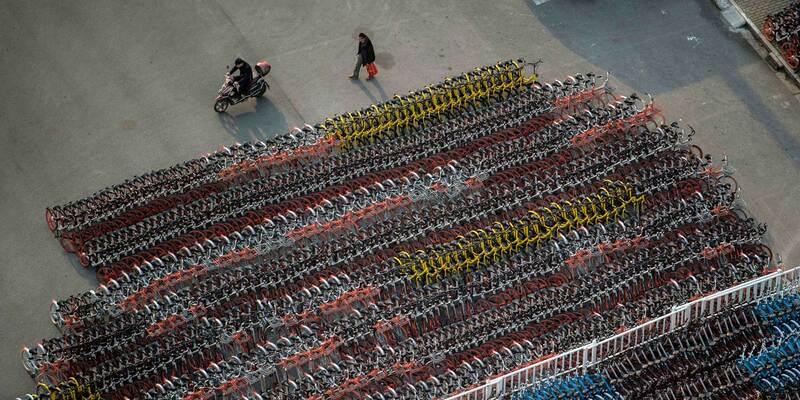 As shared-bike competitors try to eke out their place in an increasingly saturated market by placing as many of their own brightly colored bicycles as possible on the streets of Shanghai, the rows — if not piles — of bikes waiting for their next user inconvenience pedestrians by blocking sidewalks or access to buildings. Cyclists who prefer to ride their own bicycles also have a harder time finding a place to park. Dong Guowei, a 32-year-old finance company employee from Shanghai, rides a Mobike every day from his home to a nearby subway station in the city’s Pudong District. He said he regularly comes across bicycles that have been parked poorly. To cope with the influx of hundreds of thousands of new two-wheelers, more of the city’s sidewalks have been designated bicycle parking zones. But at the same time, authorities in some parts of the city are hiring private companies to enforce parking rules and keep sidewalks and roadsides free of illegally parked vehicles — especially, most recently, shared bikes. In a video clip circulating online, workers from at least one company are seen confiscating shared bikes and impounding them. The video, which was posted online last week by a self-described Mobike “hunter,” shows men in blue-and-yellow uniforms removing Mobikes from a sidewalk in the city’s Huangpu District. They then load the bikes onto a truck that bears the insignia of the district traffic police. 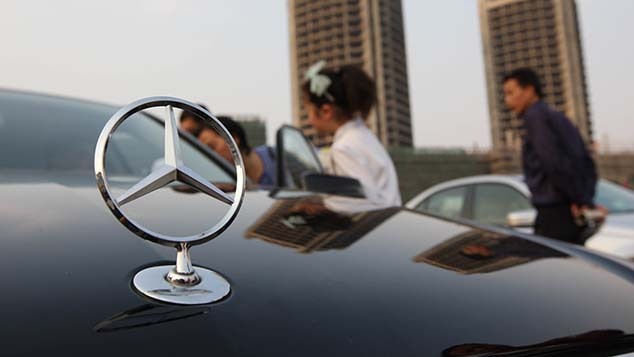 The company, which Sixth Tone has identified as the Shanghai Huangpu District Vehicle Parking Management Company, enforces parking rules on behalf of the Huangpu traffic police division of the district public security bureau. Yi Guangzhi, head of Shanghai Huangpu District Vehicle Parking Management Company, told Sixth Tone that shared-bike operators were using public resources for free. The company has been in negotiations with market leaders Mobike and Ofo regarding what Yi calls a “management fee,” but the talks are at a standstill. Yi did not give details about the exact amount of such fees or how they would be levied. 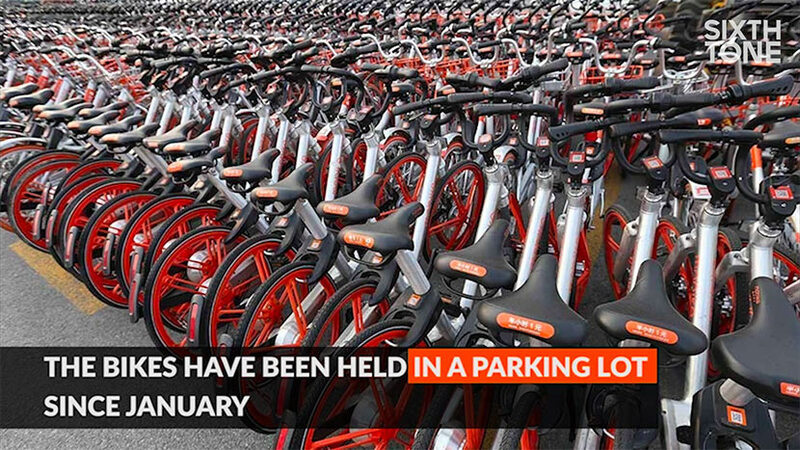 Mobike’s operations manager in charge of Huangpu District, Zhu Tong, confirmed with Sixth Tone that the bike-sharing company had not yet reached an agreement with the parking company. Zhu said that Mobike has considered increasing the number of full-time staff who patrol the streets to maintain bikes and teach riders how to park in ways that comply with Shanghai’s traffic rules. Mobike also has thousands of volunteers who help with operations by collaborating with local communities and schools, as well as a credit system which increases the riding fee from 1 to 100 yuan ($0.14 to $14) per 30 minutes for users with low scores to encourage proper bike use and parking, Zhu added. Ofo could not be reached for comment. But shared-bike user Dong believes there is still a lack of clear rules and guidance. “I always feel confused,” he said. Guo Jianrong, head of the Shanghai Bicycle Industry Association, said his organization is teaming up with the bike-sharing companies to draft industry standards for manufacturing and services. Guo believes the parking problem cannot be solved unilaterally. Local governments should build more parking spaces, he said, and bike providers should offer better guidance and education on how to use and park the vehicles properly. 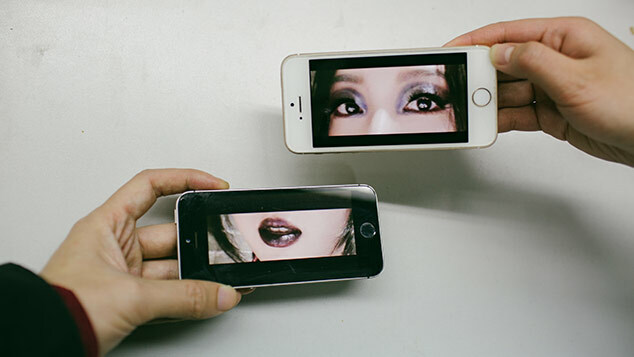 Correction: A previous version of this story said that Mobike users with low credit scores would have their riding fees increased from 1 yuan to 100 yuan per minute; it should have said they would have their fees increased from 1 yuan to 100 yuan per half-hour. Contributions: Colum Murphy; editor: Kevin Schoenmakers.